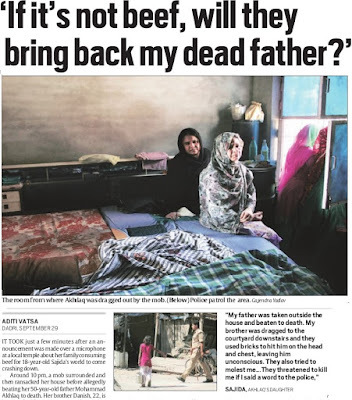 Mohammad Ikhlaq, the father of an Indian Air Force (IAF) personnel, was dragged out of his house, beaten up and murdered in cold blood. The mob that attacked his house in Dadri in Greater Noida, near Delhi, also seriously injured one of his sons. 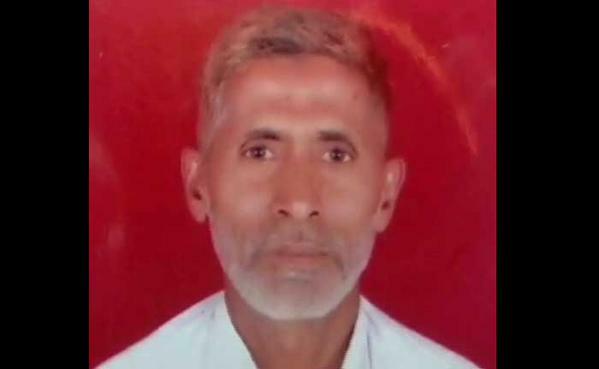 Akhlaq died on the spot. The mob had gone berserk after announcement from a temple that there was beef kept in the house. It was false, say prima facie reports. The rumour led to a maniac mob resorting to the middle-aged man's lynching. Doesn't the incident near India's national capital, clearly shows how India is marching towards 'Hindu Rashtra'? 1. Day in and day out, Sadhvis and 'Saints' issue ultimatums and threaten to send any Aslam, Abid and Athar to Pakistan. 2. Hate speech has become the norm and there are hardly any FIRs and absolutely no convictions. 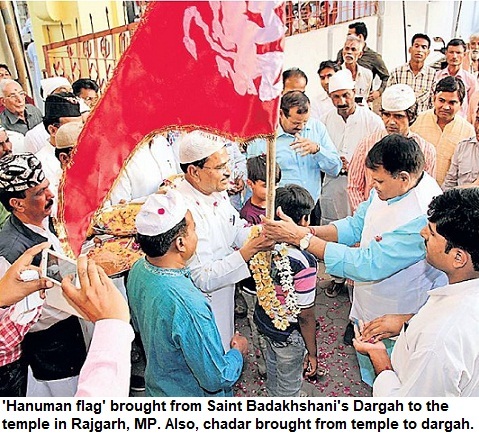 A BJP MLA says Muslims should sacrifice their own sons rather than goats on Baqrid. There are many more from Giriraj Kishore to Sadhvi Deva Thakur, Yogi Adityanath to Shiv Sena's leaders who keep targeting Muslims. In the last 1-1/2 years, this tendency to abuse Muslims openly, has gone up. Not just in Gujarat, but in Samajwadi Party ruled UP and Congress-ruled Karnataka things are the same. 3. More than 139 communal incidents have been reported from a single district, Mangalore, in Karnataka, lately. But no action has been taken to rein in the Saffron vigilantes. 4. Institutions are being taken over, laws are being misused, government remains mute spectator and administration acts only after an incident. 5. In one UP village, you won't allow people to even sacrifice goats. In another place in Karnataka, a Hindu girl and Muslim talking, would lead to Muslim man being stripped and beaten up publicly. 6. Then, rationalists are being killed all over India. Govind Pansare, Narendra Dabholkar, MM Kalburgi, have been shot dead. Many other secularists have been getting death threats. 7. Action is being taken in BJP ruled states to hurt Muslims engaged in meat business. 8. Laws have been amended and made stricter to such an extent that if a person gets caught on suspicion of carrying 'beef', it is up to him to prove his innocence. 9. The law-enforcing authorities are unable to control rioters and extremist groups within the country but, ironically, our government is more interesting in the internal situation in Nepal, and wants it to remain a Hindu Rashtra. 10. The situation within the country is such that law-and-order is collapsing. Vigilante groups and extremist organisations are calling the shots, but Prime Minister and Home Minister remain silent. Still, it is not about Muslims alone. Of course, Muslims are the main thorn in the flesh of the 'Hindutva' leaders. But the idea of India is under attack. One after the other, It is time to wake up before it is too late. No courage to tackle right-wing: Does Congress have the guts to fight RSS, BJP? Does the Congress have the guts, courage to fight RSS, BJP? The answer is a clear, no. 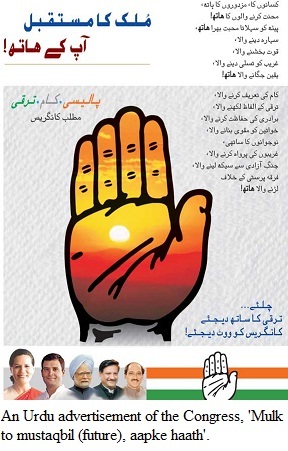 United Progressive Alliance (UPA) was in power for ten years, it could never crackdown on BJP. The recent CBI raid on Himachal Pradesh's serving chief minister Virbhadra Singh's residence, is just an example. It is well-known that without official 'go-ahead' from the Centre, such raids on a serving CM can't take place at all, in India. The agencies work under centre. The raid shows how BJP manages to get agencies work for it. On the other hand, Congress was in power for 10 yrs, yet it could never get even a single tough action against Narendra Modi-led BJP government in Gujarat, then. Even CBI officers who were probing Godhra case were known to be soft on Modi. When you run government, you have the power but you need to exercise it. Congress had neither the will, nor the courage to do it. BJP and RSS leaders were scared when right-wing terror modules were caught. Yet, it was Congress that seemed fearful to take action against Sangh leaders and NIA took years to even investigate and file charge-sheets. Convictions couldn't take place and BJP government took seat in Delhi. Now the case are being weakened. The Congress has always shown this kind of approach while dealing with the right-wing, and now it is facing existential crisis. Today, the result is that party is reduced to 40 seats. 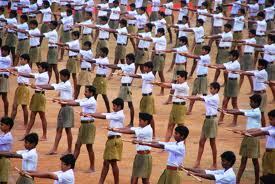 If you have to fight RSS, show some courage. Will they learn now? No, it doesn't seem so. Congress doesn't have the courage and conviction to do it. In Karnataka, it cowers in front of Ram Sene and other Hindutva groups. In fact, either it is the communal situation in Mangalore in Karnataka or the ban on Sanatan Sanstha, it (Congress) has always been exposed. It can't take on right-wing forces and the right-wing elements that are active within the party. It is time for Rahul Gandhi and Congress to realise that there is no scope for such a party that functions in such a manner. 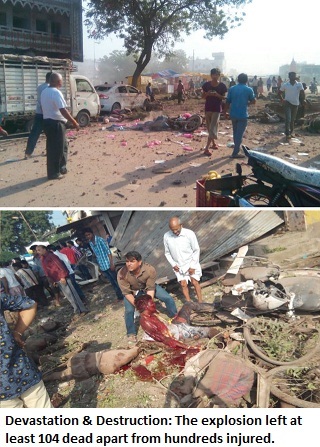 Media disinterest, silence on Jhabua blast: Why it was not considered a major news, extremists' links not probed? It may seem a bit late to comment on the deadly blast in Jhabua district of Madhya Pradesh that resulted in death of 104 persons. But, it is still pertinent to ask why an explosion that led to such a large number of deaths apart from injuries to hundreds, was not considered a breaking, national news? The fact as we all know is that the explosion took place at the restaurant of Rajendra Kaswa in Petlawad town in Jhabua (MP) on September 12. Here are certain points about the incident that comes to one's mind and the questions about role of investigative agencies and media. 1. Such was the severity of the explosion that the bodies were blown to pieces and victims' couldn't be identified. The body parts were found strewn into the area. Yet most of the TV channels ignored it, and it was not carried as first lead despite the number of deaths. 2. Jhabua is located in Western part of MP, on the border of Gujarat. Western MP and Malwa region (around Indore) are known for habouring extremists of both the religious communities--Hindu and Muslim. 3. 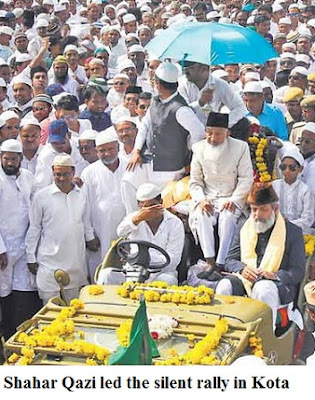 Not just right-wing radicals involved in Samjhauta Express strike, Mecca Masjid Hyderabad blast, Malegaon blast and Ajmer Dargah terror strike, belonged to this region of MP, the region produced radical Muslims too. 4. Strangely, the 'terror' angle was not discussed at all. Our security experts and top journalists on 'national security beat', who rush to 'conclusions' minutes after a minor blast, didn't pay any attention to this incident, and none bothered to visit MP. 5. Such was the neglect that even after 24 hrs, certain top media groups kept running the story [report] as 'deaths due to cylinder blast'. It was assumed initially that it was LPG cylinder blast [despite the enormity of the mishap]. Can cylinder blast leave such destruction and devastation across a vast area? 6. Even though it became clear that this was because of huge quantity of explosives stored that included gelatin rods and detonators, there was no attempt to correct it. Actually, the so-called national media was mostly not following it up, at all. There was no attempt to even look into the possibility that such a huge cache of explosives was kept for any disruptive purpose? Everyone seemed to already made up their mind, that it was for 'illegal mining'. 7. Jhabua was not TRP though another town in faraway West Bengal where none had died in a blast had got TRP a few months back. The 'all-knowing sleuths' in law-enforcement agencies that tip journalists were also missing in action. 8. Neither NIA or ATS teams seemed to be interested in even looking at the case despite that it was the worst explosion in terms of deaths in central India ever, and also among the worst in India. In a case like Burdwan (WB), top security experts were ready to rush there. 9. In the past, when there was no blast, and no death, still, just recovery of explosives from 'Muslims' led to immediate conclusion that it was 'terror plot' that was unravelled. But here, even after 104 deaths, there was no interest in investigating. 10. Even UAPA was not invoked on the absconder, when the FIR was registered in this case. Was it because the person owning the restaurant doesn't have a Muslim name? If this is true, then that's a very sad situation for this nation, the media and the society. How long will Muslims suffer and face suspicion just because of their religion, while others get away for the same reason. Rajendra Kaswa is the main accused and remains absconding even though ten days have passed after the huge explosion that ruined lives of more than 100 families in Madhya Pradesh. No wonder, people question media credibility, and ask how media can be so biased, one-sided and show such double standards? Media has responsibility towards people, as it helps in forming opinions. The local newspapers, specially, Hindi press in Madhya Pradesh, comparatively focused much more on the incident, as it was a local issue. But for national media it was not even the lead news for a day. But the local media too didn't at all consider it as 'terror angle', and for them it was just a 'mishap' that was a result of irregularities--availability of explosives for mining, and storing them, in violation of norms. When there are clearly different sets of reporting standards in newspapers and TV channels, people do have the right to question its fairness. Will Indian journalists look inward, do introspection and take corrective measures? Any chance! In one of the biggest rallies in recent decades, tens of thousands of people came to the streets in Rajasthan, to protest the state government's anti-Urdu policies. The main issue was the recent abolition of hundreds of posts of Urdu teachers. Tens of thousands of people under the banner of Tehreek-e-Urdu (Urdu movement) joined the silent procession. Nearly 700 posts of Urdu teachers have been abolished in the state, which has led to outrage. Besides, Urdu teachers have recently been transferred to schools where Urdu is not a subject. This is a bizarre decision of the education department. When the Urdu teacher is transferred, the students don't get a new Urdu teacher and after a couple of years, when there is no replacement, the post is lapsed. The government loves when posts are abolished, as less money is to be paid in salaries. he/she becomes useless in that school. Even more strange is the decision to post Urdu teachers at the post of Sanskrit teachers. 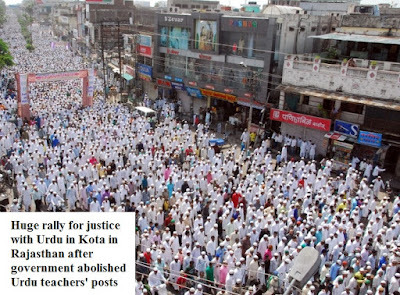 When the repeated demands to redress the situation didn't yield any result, the Tehrik-e-Urdu called the rally. Huge support came and the number of people who came on the streets, was indicative of the support for the cause of Urdu. The procession began from Multipurpose school in the morning. Shahar Qazi Anwar Ahmad was sitting in an open vehicle, leading the rally. People were carrying placards with messages, 'Learn Urdu, realise its sweetness', 'State governemnt, stop being autocrat and anti-Urdu'. 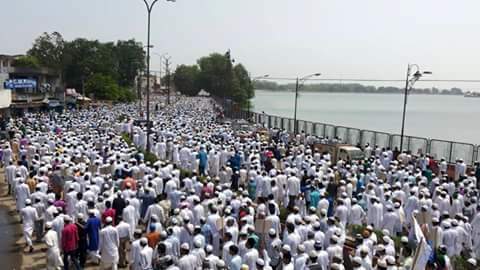 The procession reached the Collectorate later in the afternoon. Here, the memorandum was given to the district collector. The memorandum is addressed to chief minister Vasundhara Raje, urging her to stop the discrimination with Urdu. Earlier, the Tehrik leaders said that it was just the beginning and if the issue was not redressed, a strong state-wide movement would begun. Nearly, 300 volunteers belonging to different social organisations were managing the rally. Few had believed that it could turn out to be such a historic rally, which would shock the administration. It is learnt that Rajasthan government has taken cognisance and transfers would be rectified, while the abolition of posts, may be reviewed. It was among the biggest show of strength for Urdu in India in recent years. 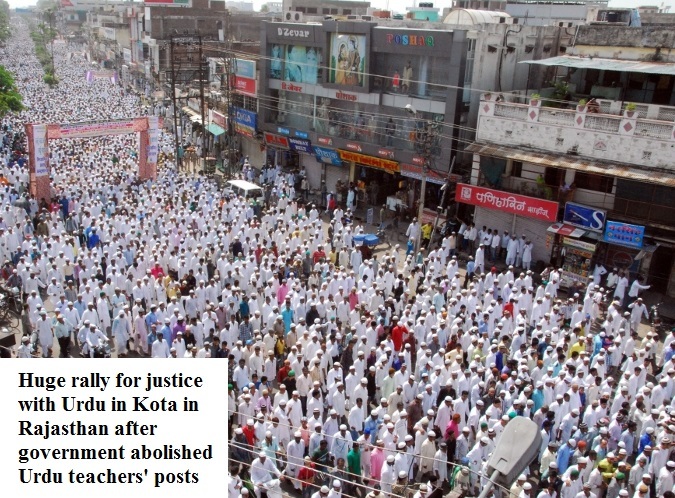 Can Urdu lovers in UP take out a similar rally? Will Urdu-walas and Urdu organisations take note in Uttar Pradesh, and other states, where there are similar issues faced by Urdu students. Uttar Pradesh is the cradle of UP and here Urdu movement is weakest. There is not a single Urdu medium school and despite promise SP government has failed to change the discriminatory law that bars education in any medium other than Hindi and English. Rationalists and secularists' lives are under threat in India, as well as in Bangladesh. People who speak up against fundamentalism are being targeted. The trend is clear and it is frightening. Still, it wasn't realised and there was not much outrage until the latest killing in Karnataka. 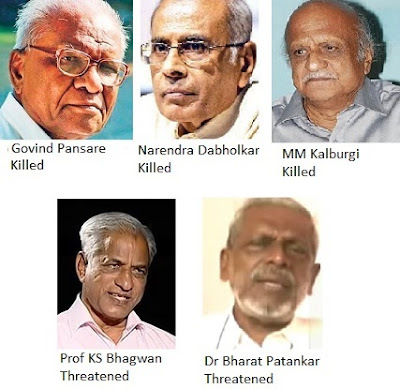 The murder of Prof MM Kalburgi, that people realised how systematically 'rationalists' are being eliminated in India. This is just like the secular bloggers have been attacked and killed in our neighbouring country. In Bangladesh, secular bloggers were killed. When there was threat, the police seemed indifferent initially. In some of the cases, the killers were arrested in Bangladesh. However, in India, in none of the cases, the killers have been identified or arrested. This is a major difference in handling of the cases. It shows that our investigative agencies are either incompetent or not interested much in hunting down the killers. Isn't this worrying for us, who live in the world's biggest democracy? Dr Narendra Dabholkar was a leading rationalist who was killed in Maharashtra. He was shot dead on August 20, 2013. Dr Dabholkar, 67, was a campaigner against superstitions and spoke against ills plaguing the society. As a result, he often found himself against the fundamentalists. He was a founder president of the Maharashstra Andhashradhha Nirmoolan Samiti, and attacked the conservative forces. Besides, he was involved in movement for justice for Dalits and the poor. He was killed in Pune. 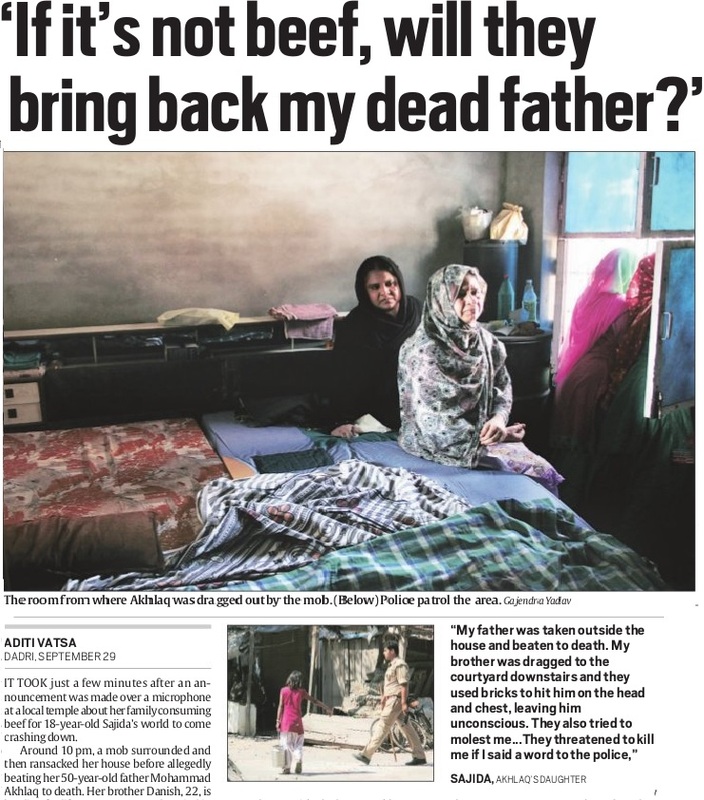 Almost two years have passed but despite initial 'leads', the police have failed to arrest the killers. Govind Pansare, 82, an author, who wrote 21 books, was a trade union leader. He had participated in Samyukta Maharashtra movement as well as Goa liberation movement. Pansare and his wife were shot in Kolhapur in Maharashtra on February 16 this year, when he was on morning walk. The modus operandi was similar as in Dr Dhabolkar's case. He too was shot. The elderly communist leader succumbed to the injuries though his wife recovered later. Pansare was well-known for his best-seller on Shivaji. The book showed how Shivaji was being portrayed wrongly as a Hindu king who 'saved' Hindus from 'Muslim atrocities'. The Marathi book 'Shivaji Kon Hota' challenged the popular narrative about the king. This biography tells reader that 1/3rd of Shivaji's army comprised of Muslims, and many of his commanders were Muslims. Comrade Pansare had opposed the right-wing attempts to glorify Nathuram Godse, who killed Mahatam Gandhi. Prof. MM Kalburgi, a scholar, was known for his rational views in Karnataka. He was shot dead in his house in Dharwad on August 30, 2015. Kalburgi, a former vice-chancellor, had several run-ins with Hindu religious groups. He was an academician and rationalist who had written 103 books. Earlier also he had got threats because of his outspoken nature and his secular views. However, when two persons knocked at his door on August 30, there was no cop at his door. They shot him dead and managed to escape. The police have no idea as to who was involved in the murder. A Bajrang Dal leader who tweeted later to express happiness and even suggested who was next, was arrested but later released. He wasn't questioned either, as it was apparently assumed to be not linked to the conspiracy. 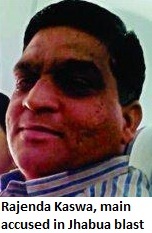 Activist-writer Dr Bharat Patankar has also received threat to his life. The president of Shramik Mukti Dal, Dr Patankar, received the threat after Govind Pansare's death. He had received a letter in which he was accused of being conciliatory towards Muslims. He was told that after the two killings (Dabholkar and Pansare), he was next. The copy of a right-wing group's mouthpiece was sent with the letter. The police failed to trace those who sent the letter. Prof. KS Bhagwan, 70, is a rationalist, and a writer. He is a friend of MM Kalburgi. After Prof Kalburgi was murdered, Bajrang Dal leader Bhuvith Shetty tweeted that now it was the turn of Bhagwan. The tweet said that anyone mocking Hindus would die a dog's death. Prof Bhagwan had earlier spoken about anti-Shudra references in Gita. Now, the security of Prof Bhagwan has been increased. One after the other, secularists bloggers have been killed in Bangladesh. The right-wing Muslim groups have been targeting the bloggers who speak against fundamentalism. Niloy Neel was hacked to death in Dhaka recently. Ananta Bijoy Das was attacked in Sylet. Also, Avijit Roya, Ahmed Rajib Hyder and Wasiquir Rahman have been murdered. The killing of atheists has let to nationwide outrage. However, in some cases, the killers have been arrested.